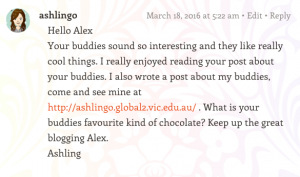 I started my blog as part of a professional learning network Online course. It was how we shared with the other members and provided feedback and evidence to the course convenors. I liked it from the beginning. The concept of my writing and thinking being in public was initially daunting but once I started getting feedback, I relaxed a little and have not looked back. I waiver in my attention to my blog and accept that as a busy teacher I have my moments of opportunity and inspiration and times when other things are more important. Clicking the [PUBLISH] button is not the main point. It is the process involved of thinking of a topic, determining how to share it, finding examples, finding connections. The actual publishing is not even the final step as often my posts illicits reactions that make me re-think. I admit to hovering over it for long periods of time filled with self doubt – is this worth sharing? have I made a fool of myself? Do I really want others to read this? I also have many posts in Draft form that may never see the light of day as after writing I re-thought the need to make them public. The carthartic experience of writing was enough. The thinking you have to do before you can write about a topic is the actual process I enjoy. As teachers, we all should aspire to be lifelong learners. If we are happy with the status quo we really should not be. However long you have been teaching, whether starting out or working for 40 years, we all need to continue to think about our practice. In my case, sometimes, I like to write about it. This part is purely selfish – not for anyone but me. It is possible that someone else might benefit from my ramblings but that is not an essential result. A wonderful little movie entitled “Obvious to you … amazing to others’ is in the back of my head when I write about the things I do at my school. Every teacher will do something in their day to day practice that another teacher would benefit from hearing about. One of the key things to remember about sharing your professional practice or thoughts is that it is not ‘showing off’ – it is SHARING and I can attest, it becomes a two way street when you reciprocate. Also, there is nothing wrong with receiving affirmation from our peers. I think as a profession we sometimes forget to value of the work in the rooms next door or in a nearby school. By putting myself ‘out there’ I am opening myself to the contribution that a wider network can offer me. It is a reciprocal thing, I read many blogs and feel connected to the thinking and experiences of teachers who are way beyond my local geography. Many challenge me, inspire me as well as inform me. When I can, I connect, I might comment, tweet or share on Google+ within my school community. A blog post, written and shared brings new value. I use Twitter and through that get an audience to my direct learning network and beyond by means of retweets etc. A recent post was linked to a few other sharing sites around the world and my simple story about getting students to write blog comments was viewed by more than 200 people in 24 hours. I honestly thought I was simply annotating some ideas for myself – some resources for getting students to interact professionally online – but apparently it was of interest to others. My blog is my online professional journal. I have a record back to 2010 of my journey in the world of eLearning, online spaces and much more. It is like having a diary of my professional life. I have a record and a positive digital footprint. I also decided a while ago to use Pages within the blog as a place to store and easily access resources that I want to be able to find and share. I have pages on Google Tools, Cybersafety resources, Digital Technologies and Inspiring videos. Above all, my blog is an outlet for me. Public Speaking is not my preferred method of communication (as the presenter that is, I love witnessing great public speaking). I prefer to chat in small groups over coffee and nearly always preferring to think something through before reacting. 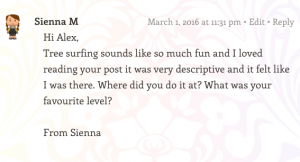 So a blog post is my preferred style of communication in many ways. I know it is not for everyone. I still struggle with believing it is worth publishing and I know I don’t have the academic skills or deep thinking nature of many bloggers – I am an ordinary teacher who likes to write and that is Why I blog. 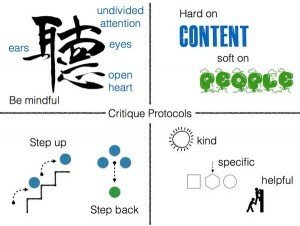 I have had many discussions with students about the protocols on interacting in online spaces in an academic or professional manner. Whether they be commenting on a blog or giving feedback in comments on a Google document or interacting in Edmodo or Google Classroom, students need to be modelled the ‘professional’ way to behave. Commenting within an academic context is in fact providing feedback and as such quite a complicated skill for a young student. Their previous experiences whilst quite valid in the online environments they exist are often quite informal – from games and online social chats. We discuss that there is nothing wrong with text talk or friendly chat but when they are working in some environments, some behaviours are preferred and expected. Academic digital etiquette is akin to formal letter writing and knowing how to construct feedback needs to be explicitly taught. I have used guides including : Kind, Specific and Helpful. I stumbled upon this guide which is one of the best I have seen and quite adaptable to all ages. It is from Out of Eden project An initiative of Project Zero at the Harvard Graduate School of Education. Notice: What stands out to you or catches your eye in this person’s post? In other words, what do you notice in particular? Be specific. Appreciate: Share what you like, appreciate or value in the post you’ve read. Be specific. Snip: Cut and paste a phrase or sentence from the original post into your comment. Ask a question about it or say what you find interesting or important about what is being said. Connect: Make a connection between something in the post and your own experiences, feelings, or interests. Extend: Describe how the post extended your thoughts in new directions or gave you a new perspective. 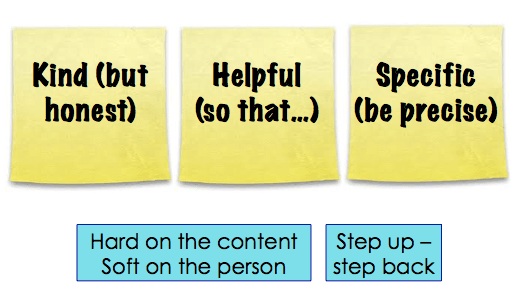 Do you have any other suggestions or ideas on how you teach students to interact in online spaces ? 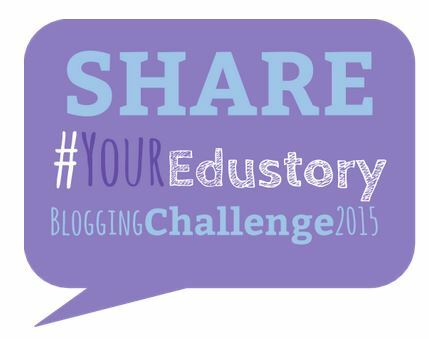 I spoke very briefly about the Student Blogging Challenge at a Teachmeet Melbourne Event last night. Ten weeks of suggested tasks are issued (beginning March 6). These tasks provide stimulus for writing as well as embed cybersafe and digital citizenship skills. At our school, we review the task and select what we think is appropriate and achievable for our students. 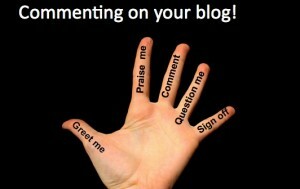 Mentors visit student blogs and provide suitable comments to encourage and extend the students experience. The structure of the challenge can be adapted to suit your classroom timetable. The learning a student takes is well beyond the mechanics of blogging, beyond the technicalities. They are experiencing a network of learners beyond their school, a new way of interacting online in an academic space. A comment from a mentor – a person from beyond the child’s usual network is extremely powerful and motivating. Mention must be made of Sue Wyatt (@tasteach) for all her work in managing this amazing opportunity and thanks given! So, do you want to make a small difference in the life of student ? A small investment in time, a simple piece of encouragement is all it takes. Let Sue know by commenting on this post Mentors needed.